There are various commands through which you can open your Linux Tools. There are many built-in-tools makes your job easy . Learn it , Gain it and Enjoy it. To monitor these process there are certain build-in-tools on every Linux Operating System through which you can Monitor your system .Also there are other tools which are not install on the system but you can install it simply using apt-get install <package name > command . 1. 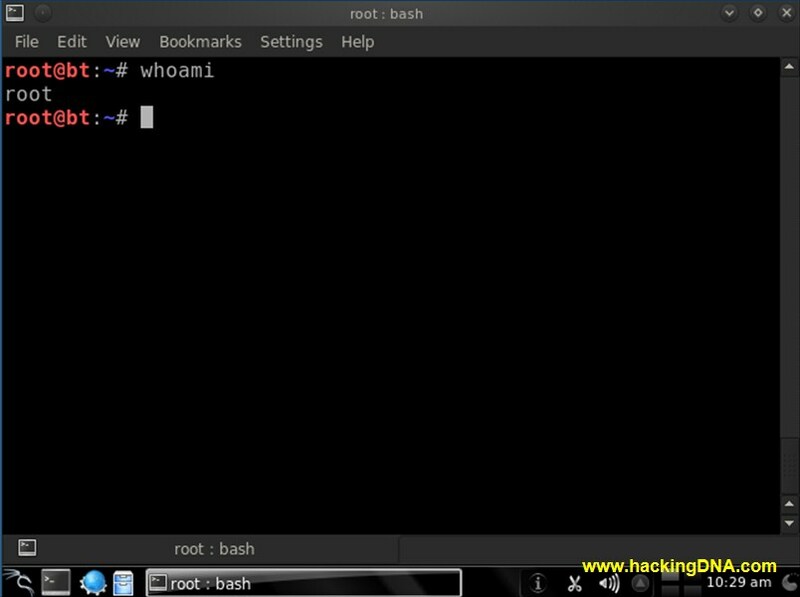 Whoami Command : It display the user information who is currently logged in. 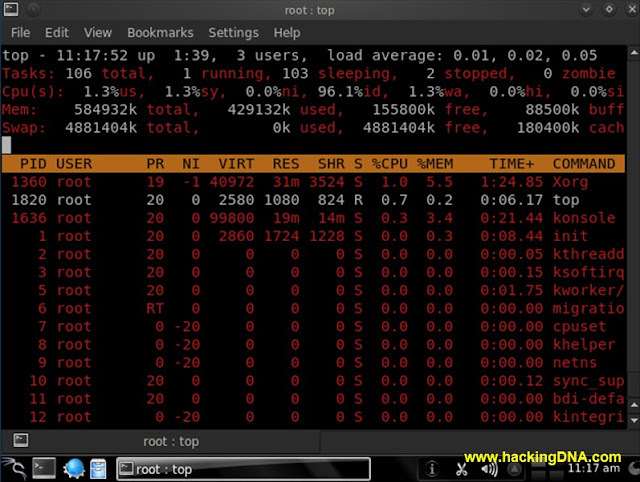 Above image showed that the current user is " root ". 2.Uptime Command : Uptime Command is used to from how long the your System has been running , it also tells how many users are running and the load average . 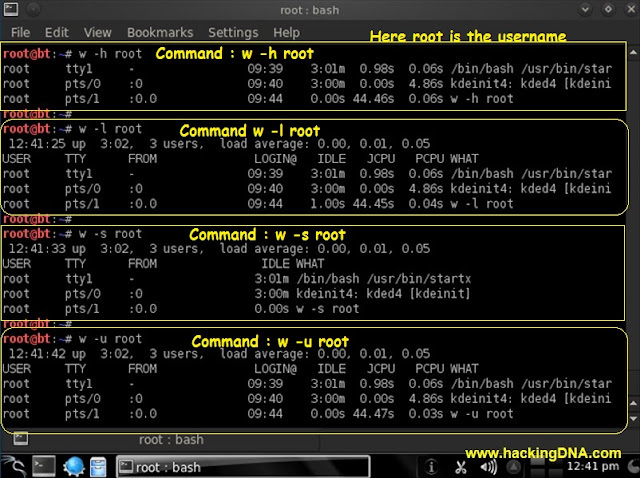 3. uname command : It displays the system information like OS name , OS type etc . 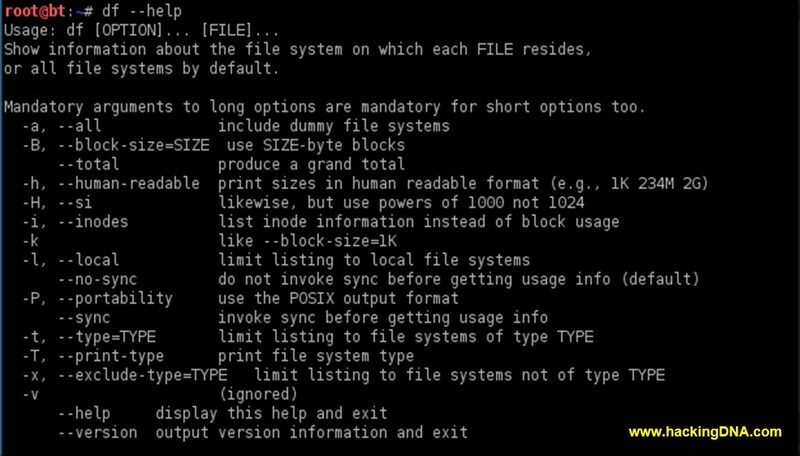 Syntax : uname : This command only show the OS name. uname -a : This command show complete info . For Example : When we give top , see what happen on our system. 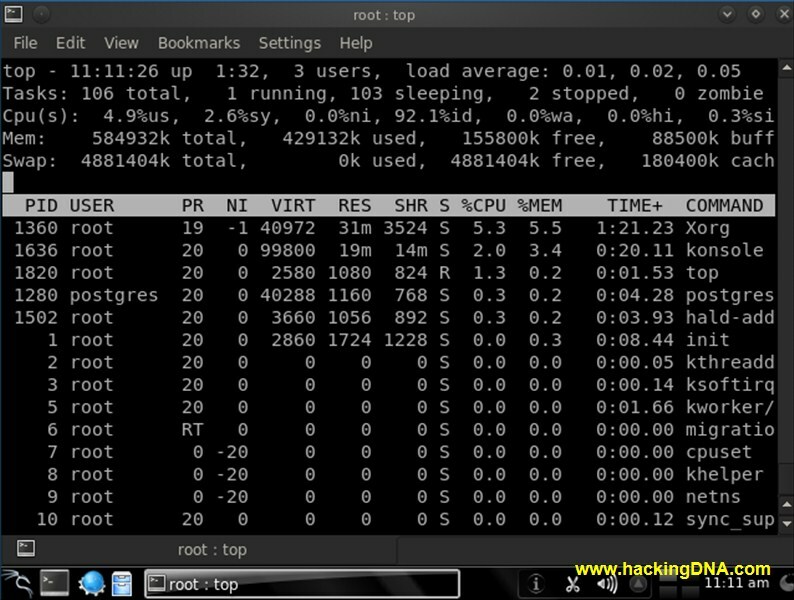 Here you can see the PID(ProcessID),User information, Cpu Performance , Your MEM(Memory)Performane ,TIME,COMMAND etc. With top you can monitor your system activities. Even you can kill any process from here only . You can change the color of it by pressing z. 5.free command : free command display the total memory, used memory used memory, shared memory, free memory, buffer memory and cached memory . free -m -s <number> : It display memory info in seconds. 6.df command : It display the amount of free space available on each partition. EXAMPLES:Lets use this syntax with options and see what happen in each example . Here it shows the Used and Available Space on each partition. It display all the dummy file system . 7. w command : w command reports how many users are on the system and what process they are running . Syntax : Use w --help cpmmand to view syntax on your system . 8. hostname : It display and sets any name into hostname . EXAMPLE 1 :COMMAND :hostname : It simple display hostname . 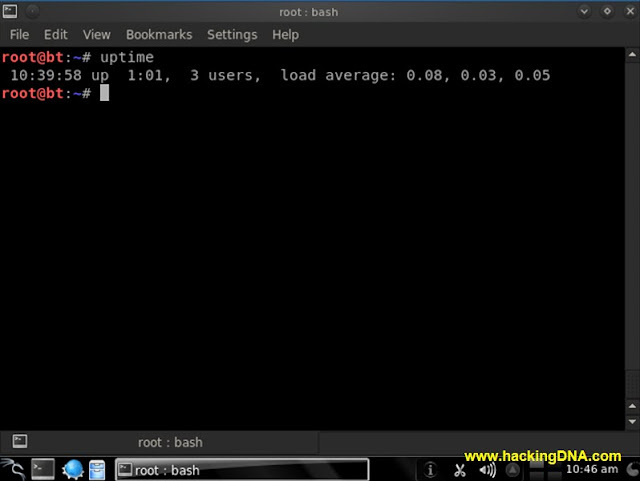 EXAMPLE 3 :Set the hostname of the system to "www.hackingDNA.com"
www.hackingDNA.com //Here your system name is set . These are the few commands i have taken , next time i promise to come more linux commands. This is the END of this tutorial . Always remember to be a good hacker, ethical hacker , system admin, Network secuity in any field of IT ,concepts of commands, concept of system architecture should be very clear then only you achieve any success .